Built to commemorate Ducati’s 1972 Imola victory, the 750SS represented perhaps the most desirable, ready-to-race street machine of the time, with only the barest concessions to road-usability, high-spec components, and exotic technology. Ducati was rightly proud of their win at Imola, a giant-slaying performance by an underfunded, unproven, barely-tested team and machine. 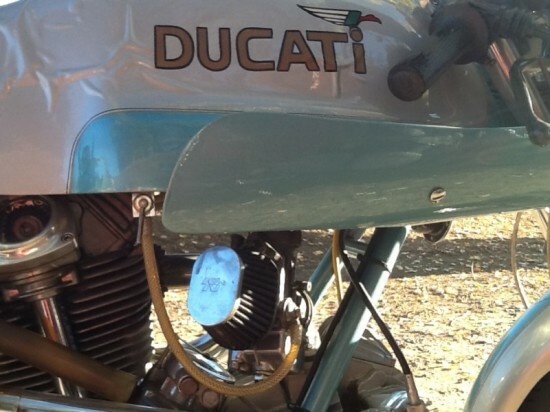 The street machines based on the racing v-twins have proven to be some of the most iconic bikes of the era and, along with the unfaired 750GT and Sport models, represent Ducati’s leap into big-bore motorcycle production and are a far-cry from machines that gave Ducati their start: the “Cucciolo’s” that were basically bicycles powered by tiny motors. The first batch of 750SS’s had the more desirable “round-case” engines, so called because of its softer, rounded engine cases compared to the later redesign that featured a cosmetic, much more angular redesign of these parts. Only 401 of the original 750SS model were made. The seller mentions this is a 1975 model, but I believe 1974 was the only year of the round-case 750SS, so perhaps this was a 1974 model first titled in 1975? The photos clearly show a round-case machine, but the bike is lacking the distinctive unpainted tank-stripe. 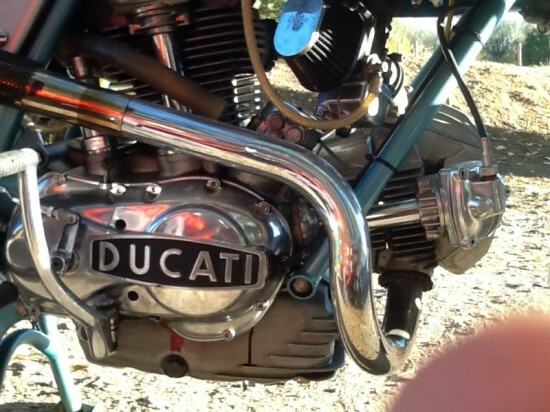 These bikes command very high prices when they do come up for sale, and originality is key. If any of our readers can comment on the potential authenticity of this machine, I’d be happy to hear from you. 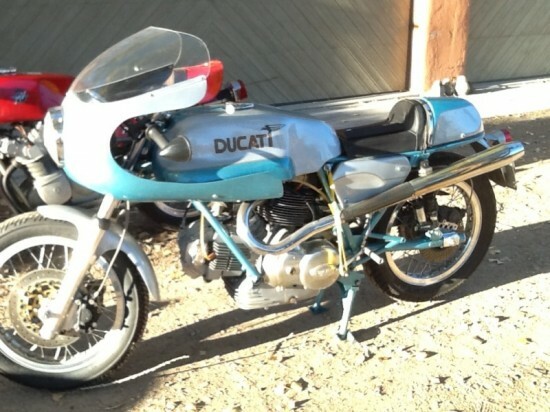 These early Ducati sport bikes are very desirable machines. Listed price is $92,000, the machine is up to $68,000 with only one bidder as yet. 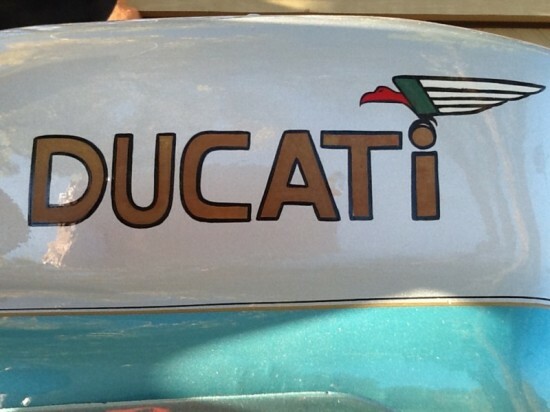 I’m sensing a “bubble” soon on these Ducs,Vincents etc…Crazy money.